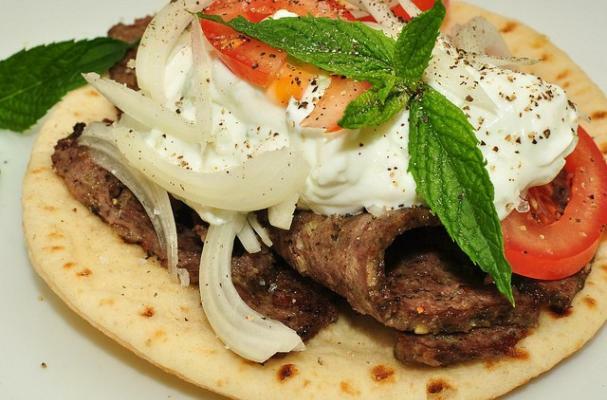 Traditional Greek tzatziki is a versatile sauce, perfect with summertime foods. Greek yogurt is mixed with thin shavings of cucumber, garlic, lemon, and dill to create this brightly flavored dip. If you are unable to locate Greek yogurt, you can strain plain yogurt through a cheese cloth for several hours. Tzatiki is great for dipping vegetables and pita bread or spread on sandwiches and burgers. Grate the cucumber using a coarse grater into a colander. Drain the cucumber and put it in a bowl with the yogurt and the minced garlic. Add oil, vinegar, some salt and the freshly grated pepper and stir the mixture well. Finally, add some chopped dill on the top.